The Galileo Museum is a well-known museum of natural sciences in the centre of Florence almost next to the world-famous Uffizi Art Museum. The exhibition is also known as the „Museum of the History of Science“. The Italian name is „Istituto e Museo di Storia della Scienza“ or „Museo Galileo“. The highlight of the museum is the world’s first telescope, of course by Galileo Galilei. It’s a modern museum. It was extensively modernized between 2008 and 2010. It is about physics, astronomy, chemistry and the like. Several of the 18 rooms of the Galileo Museum Florence are dedicated to the grandiose scientist Galileo Galilei. But there are also many other things from the world of science. Especially historical instruments, apparatuses and so on. Adults pay 10 Euro entrance fee, tickets for children and members of groups pay 6 Euro. 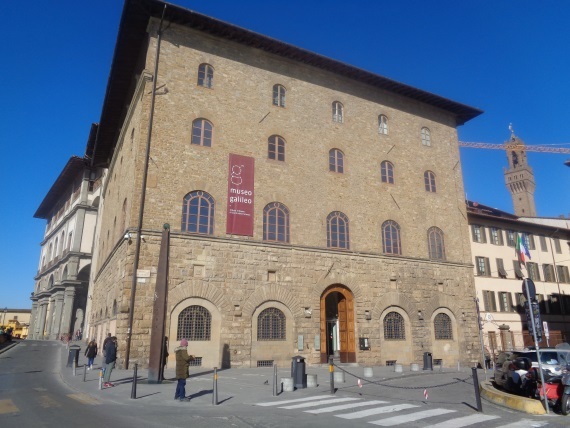 Children under 6 years may enter the Galileo-Museo Firenze free of charge. The opening times are currently the same every day of the week: 9:30 a.m. to 6 p.m. The exhibition on natural sciences and Galileo Galilei is right in the center of the city near the river Arno and the world-famous museum Uffizi. If you go from the Uffizi to the river it is a few meters to the left along the Arno (so not towards Ponte Vecchio, but in the other direction). Bags cannot be taken inside, but there are many free lockers. At the exit there is a shop, among other things books about the museum and Florence are sold. There is a free toilet in the museum. The exhibition is mainly on the 1st floor and 2nd floor. The 18 rooms are well numbered. At the entrance every visitor gets a small map with about 10 absolute highlights of the museum Galileo. The collection about Galileo is more on the 1st floor. On the 2nd floor there are other exhibitions on science. 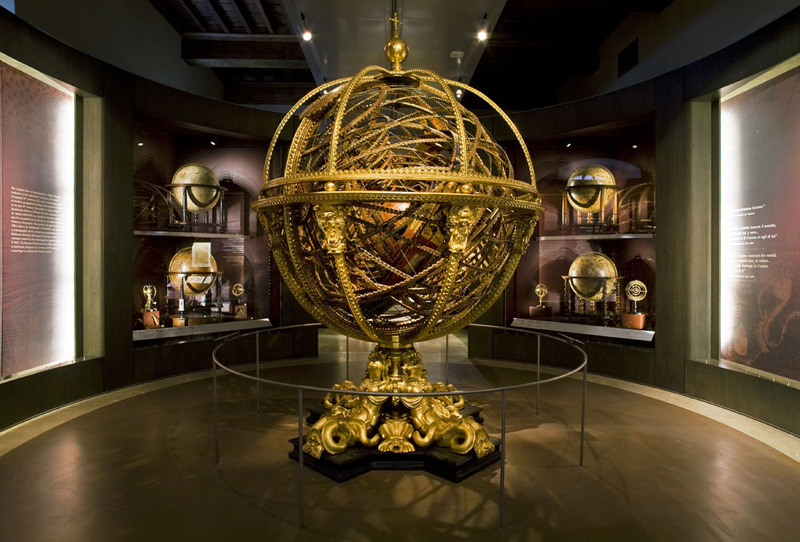 Each of the 18 exhibition rooms in the Museum Galileo Florence has a special theme. On the 3rd floor there is a natural science library and research facilities (less intended for normal museum visitors).